A good 19th. 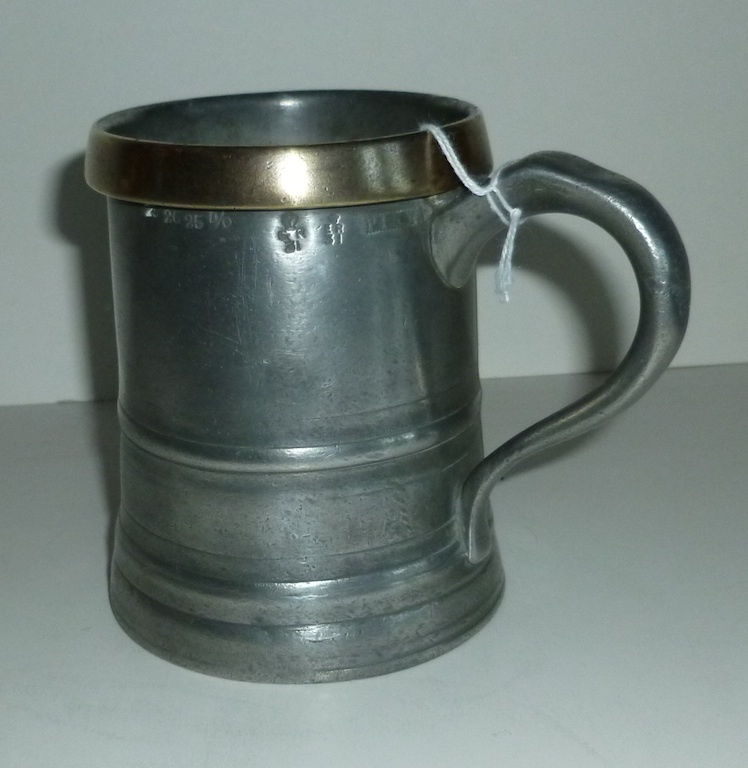 century brass rimmed pint pewter measure by Benjamin Joshua Grimes who worked at 28 Bridge St. in Stratford from c1885 to 1890. 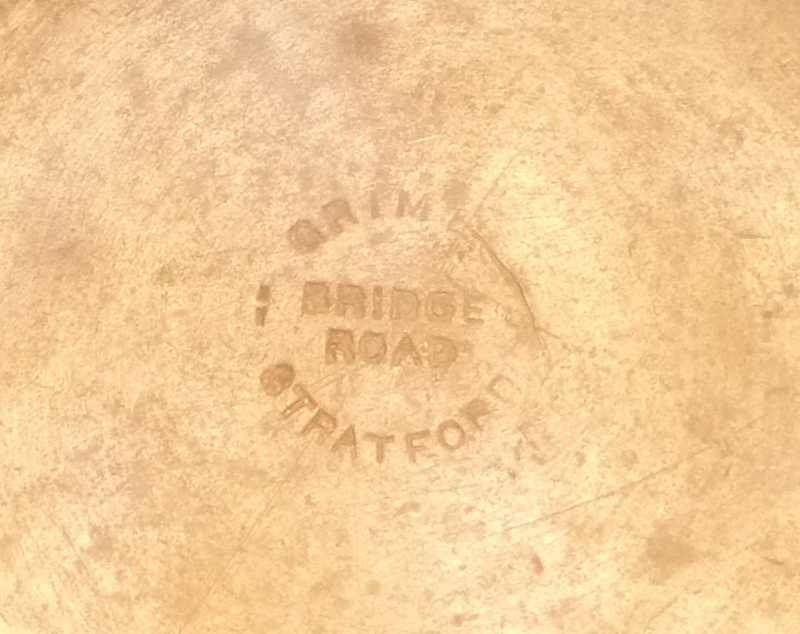 This is the first measure with the Bridge St. touch mark to surface from that address. It is engraved on the bottom " Hop Pole Barking". The Hop Pole is a pub at 59 Fisher St., Barking, Essex. In good condition.